Upper Mustang trek itinerary is a special trekking itinerary cause of this is a restricted trekking area in Nepal. Upper Mustang trekking itinerary starts from Pokhara by fight, drive to Nayapul or Beni, and Phedi. It depends on your time limit. Upper Mustang trek itinerary supplies the high Himalayan desert like Tibet and it also is known as a mini Tibet. 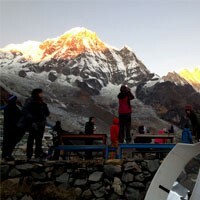 We make customized upper Mustang trek itinerary, Ghorepani Poonhill upper Mustang trek itinerary, Annapurna base camp upper Mustang trek itinerary, Annapurna circuit upper Mustang trek itinerary, hot spring upper Mustang trek itinerary, and more as your request, holiday time, budget, and interest. 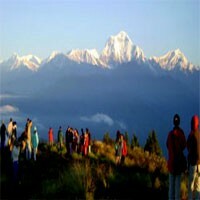 Day 02 : Kathmandu sightseeing tours and trek preparation. Day 03 : Drive from Kathmandu to Pokhara (820m. )6-7 hrs. Day 04 : Fly Pokhara to Jomsom (2,720m.) 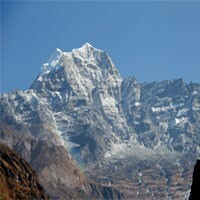 and Trek to Kagbeni (2,800m. )3-4 hrs. Day 05 : Trek from Kagbeni to Chele (3100m. )5-6 hrs. Day 06 : Trek from Chele to Syangbochen (3800m. )6-7 hrs. Day 07 : Trek from Syanbochen to Ghami (3510m. )4 hrs. Day 08 : Trek from Ghami to Tsarang (3560m. )4 hrs. Day 09 : Trek from Tsarang to Lo manthang (3840m. )5 hrs. Day 10 : Explore day at Lo manthang. Day 11 : Trek from Lo-mangthang to Dhakmar (3820 m.)7-8 hrs. Day 12 : Trek from Dhakmar to Ghiling (3570m. )5 hrs. Day 13 : Trek from Ghiling to Chele(3100m.) 6 hrs. Day 14 : Trek from Chele to Kagbeni(2800m.) 5 hrs. Day 17 : Drive from Tatopani to Pokhara (820m.) 5 hrs. Day 18 : Drive from Pokhara to Kathmandu. Farewell dinner with Frolic Adventure. Day 19 : Transfer to the international airport for your final departure flight.